Just Completed December 2018. Tampa Bay waterfront coastal chic located only minutes to downtown St. Petersburg. 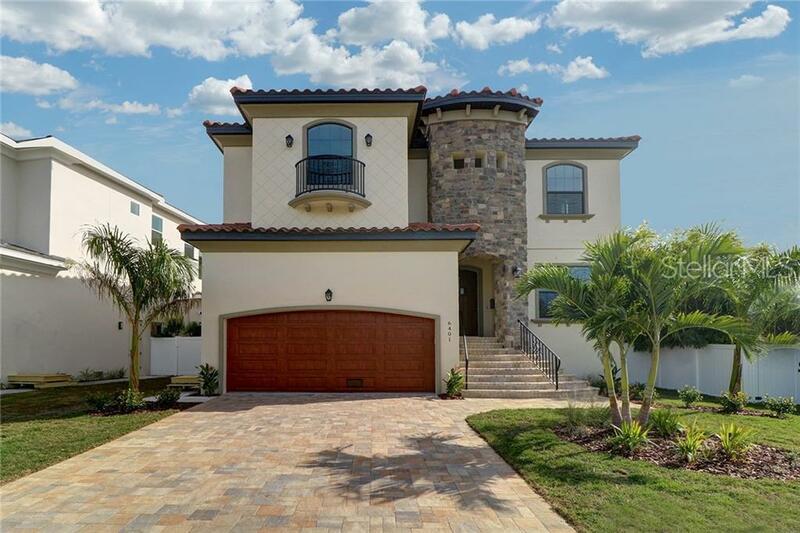 Experience breathtaking water views from almost every room in this well designed and superior crafted 5 bed, 5 bath home built by award winner Labram Homes Inc. Features of this open concept home include a gourmet chefâs kitchen with enormous island and Viking appliance package, main floor study, covered outdoor living room equipped with a built-in kitchen. The 2nd level consists of a luxurious master retreat with large his & hers walk-ins & covered terrace, 3 additional en-suite bedrooms, plus an upstairs family room. Outdoor entertaining is a breeze with the sparkling in-ground pebble-Tec heated pool & spa and world-class fishing and boating in your backyard. This home truly has something for everyone and is conveniently located just a short bike ride to downtown St Petersburg. Builder Name: LaBram Homes, Inc.